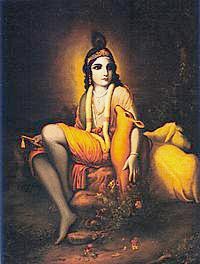 "Since Krsna is all-attractive, one should know that all his desires should be focused on Krsna. In the Bhagavad-gita it is said that the individual person is the proprietor or master of the body, but Krsna, who is the Supersoul present in everyone's heart, is the supreme proprietor and supreme master of each and every individual body. As such, if we concentrate our loving propensities upon Krsna only, then immediately universal love, unity and tranquility will be automatically realized. When one waters the root of a tree, he automatically waters the branches, twigs, leaves and flowers; when one supplies food to the stomach through the mouth, he satisfies all the various parts of the body."